London – Iranian Supreme Leader Ali Khamenei said on Wednesday Tehran would commit to its 2015 nuclear deal with international powers as long as the US Congress did not impose sanctions against his country. However, he threatened to “shred” the agreement if the United States pulled out, state TV reported. Khamenei’s remarks came five days after US President Donald Trump decertified the Iranian nuclear deal, asking the Congress to address the “many serious flaws” in the international agreement. “I am directing my administration to work closely with Congress and our allies to address the deal’s many serious flaws,” Trump warned. 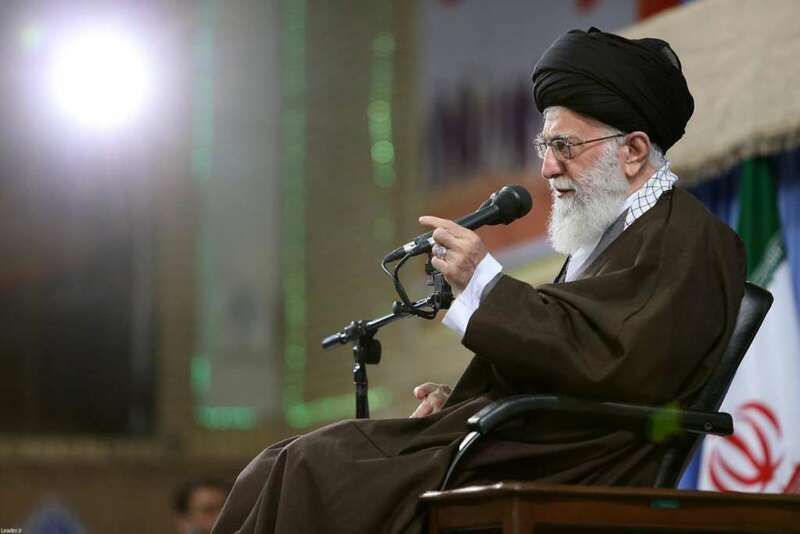 “If the US tears up the deal, we will shred it… Everyone should know that once again America will receive a slap in its mouth and will be defeated by Iranians,” the Iranian leader added. Although Khamenei expressed his relief with the position of the European Union countries in support of the nuclear agreement, he said that it not enough to tell Trump not to tear up the agreement. “European states stressed their backing for the deal and condemned Trump … We welcomed this, but it is not enough to ask Trump not to rip up the agreement. Europe needs to stand against practical measures (taken) by America,” he stated. “This agreement is necessary for the security of the region,” EU Foreign Policy Chief Federica Mogherini said, without elaborating on the role the EU could play in countering Iran’s regional activities. In a joint statement, Paris, London, and Berlin have also expressed concern about the “repercussions on the security of the United States and its allies” that would result from the actions demanded by Trump. In decertifying the nuclear deal last week, Trump gave the US Congress 60 days to decide whether to impose economic sanctions on Tehran, which were lifted under the 2015 agreement. During their meeting on Monday, EU foreign ministers also discussed the need to dismantle Iran’s missile program. “They must avoid interfering in our defense program … We do not accept that Europe sings along with America’s bullying and its unreasonable demands,” Khamenei said, as reported by Reuters. “They (Europeans) ask why does Iran have missiles? Why do you have missiles yourselves? Why do you have nuclear weapons?” He asked.